Dianna Cowern is a science communicator and educator. She is the primary content creator for her YouTube channel, Physics Girl with PBS Digital Studios. Dianna received her BS in physics from MIT before researching low-metallicity stars at the Harvard CfA and designing an iPad app as a software engineer at GE. She then pursued her career in STEM outreach working as an educator at the Reuben H Fleet Science Center and as a physics outreach coordinator at UCSD. Her work on Physics Girl has been featured on the Huffington Post, Slate Magazine, and Scientific American blogs. YouTube was originally perceived as an entertainment medium to watch pets, gaming, and music videos. In recent years, educational channels have gained momentum on the platform, some garnering millions of subscribers and billions of views. 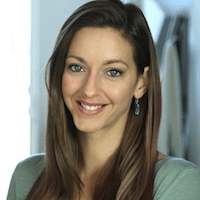 The Physics Girl YouTube channel is an educational series with PBS Digital Studios created by Dianna Cowern. Using Physics Girl as an example, this talk will examine what it takes to start a short-form educational video series. We will look at the channel’s demographical reach, best practices for effective physics outreach, and survey how online media and technology can facilitate good and bad learning. This talk will show how videos are a unique way to share science and enrich the learning experience, in and out of a classroom. In classroom learning, the question is often asked, “What does this have to do with real life?” Some of the most effective learning comes from student-driven questions, curiosity and from when students can tie learning concepts to their daily lives. The aim of the PBS YouTube series Physics Girl has been to connect physics to the real world in a conceptual way through curiosity-inspired questions. There are two parts to this talk. One will focus on the characteristics of effective physics demonstrations as guided by the success of certain experiment-based physics videos in an online world full of non-educational noise. What demos work in videos and why? The second part will focus on how sharing can enhance the learning experience. What makes viewers care about these demonstrations? This part will address the collaboration and feedback gained by sharing physics during the learning process. Dianna is often asked to talk to educators around the world about using the video medium as a way to present lessons, experiments, and other scientific educational material in the classroom. She is passionate about today’s pathway for Science Communication and what she has been able to do with video to reach millions of viewers on YouTube – bringing physics and science to the masses! Young students today pay attention and learn much differently than they did even 10 years ago. Dianna is on the cutting edge of this movement and has a firm grasp on new media and the technology driving it.